Move your body and engage your brain through embodied practice. If someone takes hold of you, literally or figuratively, how do you release their grasp? At this event we will explore common wrist grabs, options for response and how you can move your body to release a person’s grip on you. This physical practice serves as not only a metaphor for interpersonal encounters but an embodied learning experience you can carry with you and apply to your everyday interpersonal encounters. A supple stance, both mentally and physically, allows us to move and adapt to the changing environment. The non-competitive martial art of aikido affords us the opportunity to make the conceptual physical and explore the nuances of communication and leadership in a safe laboratory of embodied learning practice. When we imbue the sensory activities with intention and awareness, the relevancy to our workplace encounters springs to life. 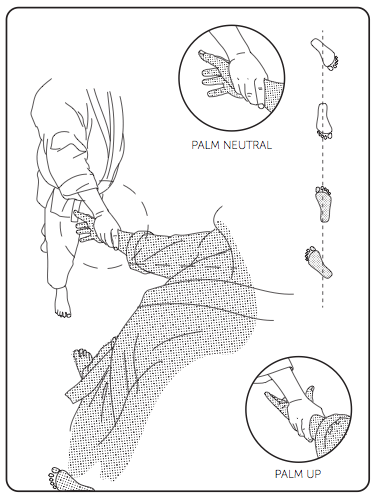 Practice simple wrist releases to quickly escape unwanted physical contact. Learn how you can use the power of the ground to apply leverage and break someone’s grip on you. Understand the mechanics of the human grip and experiment with the natural levers of the body. Sense your instinctive response to challenging encounters and consciously introduce options for change. Build confidence that you can learn to change the dynamics of a developing situation in its early stages. Taught by Suzane Van Amburgh, Chief Instructor of Aikido Multnomah Aikikai and Founder of Space to Move. This entry was posted in Uncategorized and tagged aikido practice, center, embodied learning, kinesthetic, release, self defense, wrist grab by SpaceToMove. Bookmark the permalink.